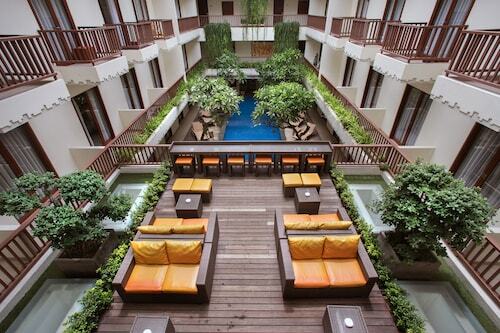 This family-friendly Seminyak resort is located in the entertainment district, within a 5-minute walk of Sunset Point Shopping Centre and Eat Street. Seminyak Beach and Seminyak Square are also within 2 mi (3 km). 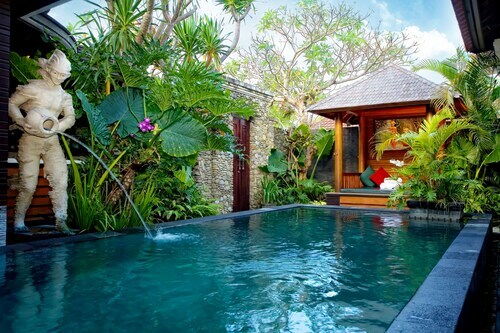 Located in Sunset Road, this spa hotel is within 2 mi (3 km) of Sunset Point Shopping Centre, Petitenget Temple, and Seminyak Square. Double Six Beach and Legian Beach are also within 3 mi (5 km). 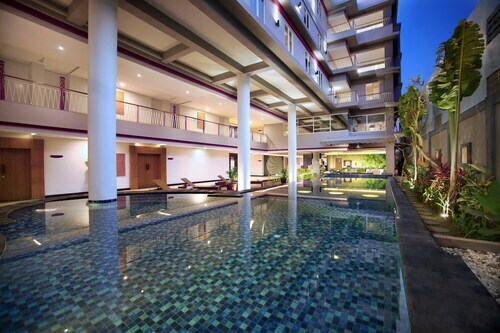 Located in Sunset Road, this hotel is within a 10-minute walk of Sunset Point Shopping Centre and Eat Street. Seminyak Beach and Seminyak Square are also within 2 mi (3 km). 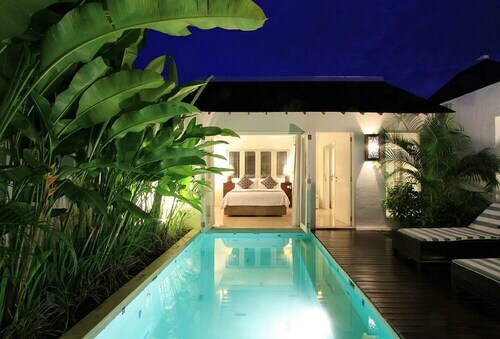 Located in Sunset Road, this luxury resort is within a 15-minute walk of Sunset Point Shopping Centre and Eat Street. Seminyak Beach and Double Six Beach are also within 1 mi (2 km). Located in Sunset Road, this hotel is within a 15-minute walk of Sunset Point Shopping Centre and Eat Street. 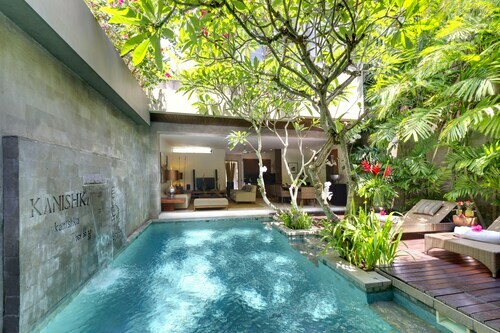 Seminyak Square and Seminyak Beach are also within 2 mi (3 km). 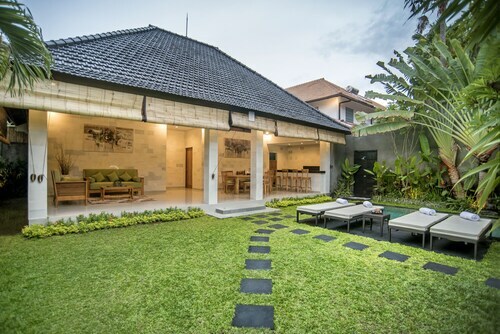 Located in Sunset Road, this spa resort is within 2 mi (3 km) of 3D Trick Art Museum DMZ, Seminyak Square, and Gado Gado Beach. Seminyak Beach and Double Six Beach are also within 3 mi (5 km). Located in Sunset Road, this villa is within a 15-minute walk of Sunset Point Shopping Centre and Eat Street. 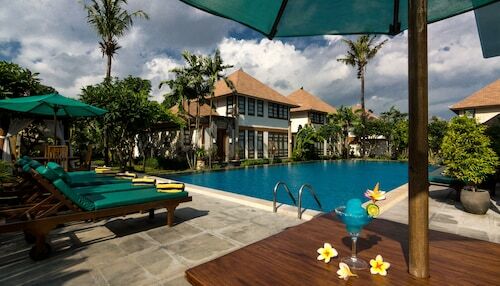 Seminyak Square and Seminyak Beach are also within 2 mi (3 km). 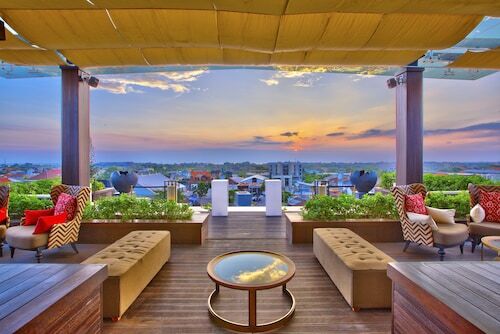 This family-friendly Seminyak hotel is located in the entertainment district, within a 10-minute walk of Sunset Point Shopping Centre and Eat Street. Seminyak Beach and Double Six Beach are also within 1 mi (2 km). Located in Sunset Road, this hotel is within 1 mi (2 km) of Sunset Point Shopping Centre, Eat Street, and 3D Trick Art Museum DMZ. Gado Gado Beach and Seminyak Beach are also within 2 mi (3 km). 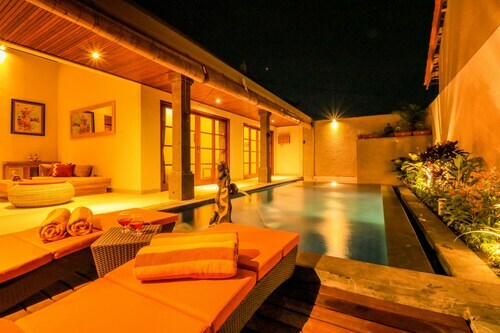 Located in Sunset Road, this luxury villa is within a 15-minute walk of Sunset Point Shopping Centre and Eat Street. Seminyak Beach and Double Six Beach are also within 2 mi (3 km). Hotels in Sunset Road start at AU$30 per night. Prices and availability subject to change. Additional terms may apply. It is a beautiful hotel with wonderful service from the staffs. The only improvements that could be considered is to fix fans especially in the dining area as it was extremely hot.